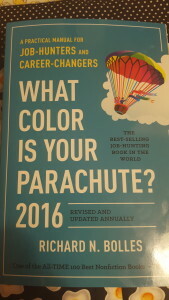 I am reading, ‘What Color is Your Parachute for 2016’. 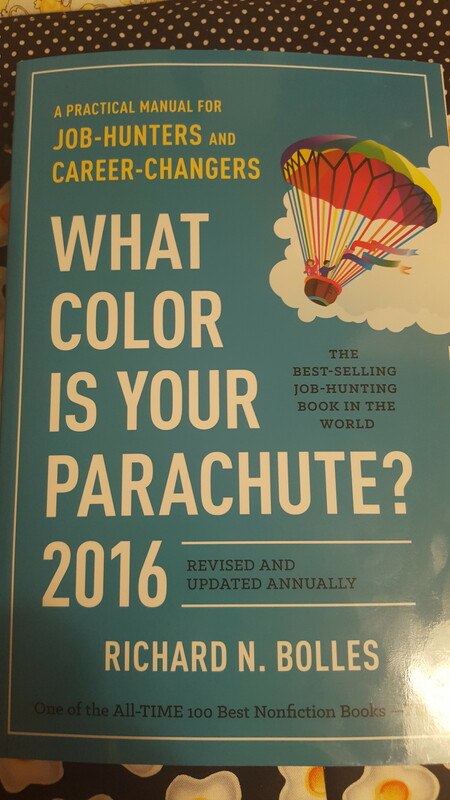 Honestly, I was just perusing Amazon just to look at any new career books that I can read and I discovered that this book was just published this past Tuesday, August 11, 2015. It’s a classic. I honestly never read a previous edition. I know it’s been around for over 20 years but I said why not go ahead read it? Give it a chance, give it a shot and more importantly from a personal career perspective I wanted to get into my second gear for the rest of 2015. As you know this is August 2015 and I believe we have in between 33 to 40% of the year remaining so why should I wait until 2016 to do something when I can get started in August 2015? Get a head start and do something productive for the remaining three and a half months. Furthermore, this time also coincides with the children’s back to school. I know that a lot of my friends have children. Since this is back-to-school for them, I decided to read this book as my own personal back-to-school for personal enrichment. I will update everyone on periscope to see what I currently think of the book.